The ornate decorations of the walls and ceiling inside the prayer hall of Istanbul's Blue Mosque. 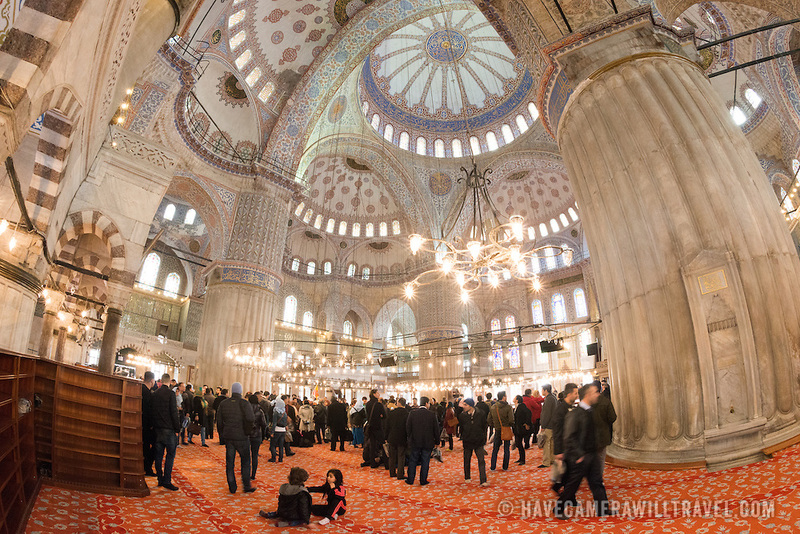 While it is widely known as the Blue Mosque for the its interior tiling, the mosque's formal name is Sultan Ahmed Mosque (or Sultan Ahmet Camii in Turkish). It was built from 1609 to 1616 during the rule of Sultan Ahmed I.